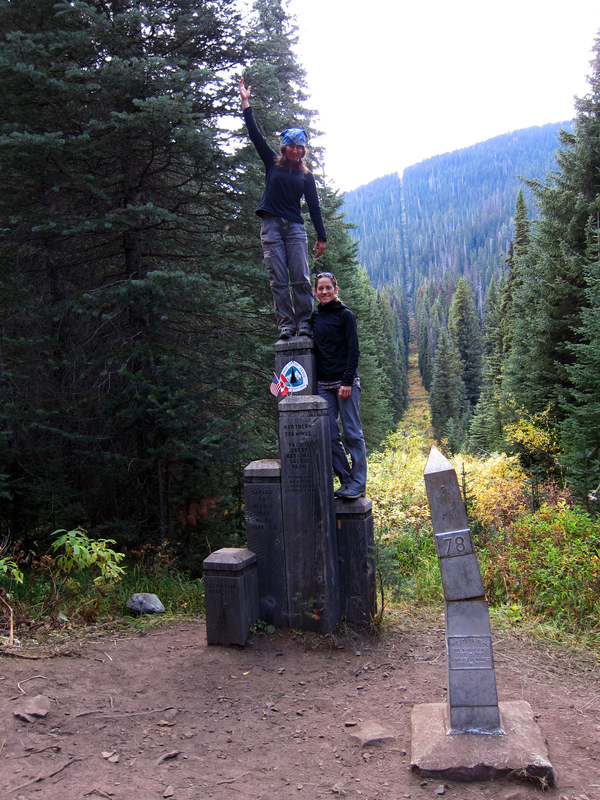 The Pacific Crest Trail (PCT) is a 2,663.5 mile hiking trail that runs from the Mexican border at Campo to Manning Park which is located 8 miles into Canada. 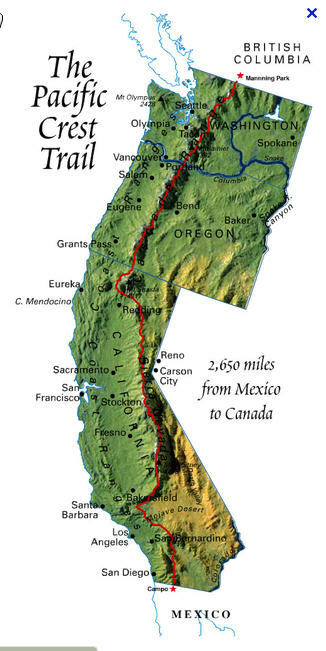 The PCT is a national scenic trail that traverses three states (California, Oregon, and Washington), climbs over 60 mountain passes, descends into 19 major canyons, passes more than 1000 lakes, visits 3 national monuments, 7 national parks (Sequoia, Kings Canyon, Yosemite, Lassen Volcanic, Crater Lake, Mt. Rainier and North Cascades National Park), 24 national forests and 37 federally mandated wilderness areas. It is a dream world of open space, natural joy and unbridled freedom. These are stories I wrote from random libraries along the way during my 2012 thru-hike. Done deed – Photo at the Canadian terminus. I believe in Angels – An extended thank-you note to trail angels through Washington. My 40-mile day, or how to shake off trail blues – One of my favorite days on the trail. Washington – Kryptonite – Where I get humbled by the Washington terrain. Reintegration inoculation – Unsettling preview taste of post-trail life. All downhill from here – Gobbling up miles in Oregon. Sorry about my driving, my wife is giving birth … and more – Crazy encounters while hitchhiking. The tyranny of the miles – Me and the Red Beast in the Sierras. Place-holder story. – The beginning of the Sierras and side trip to Death Valley. The Gantlet of Goodness – At the Sauffley’s and Anderson’s. The Fire Wastelands – Dancing with poisonous plants. Teaching The Bobcat to walk – How I got over two swollen ankles. Lunging tiger, twisted ankles. – A description of daily trail life. “The trail provides” – Cases of spontaneous trail magic. Expectations – reality – honeymoon. – One of my favorites. First taste of the trail. And so it begins … – reflection on my fears and expectations. Thank you for your beautiful stories, and for blessing the world with your beautiful soul. I came across this page in curiosity, and have spent the last two hours reading your entries and being filled with hope at a difficult time in my life. Thank you for reminding me of the beauty in the world.